Men, this year is the perfect time to try something new! If you’ve always been asking the stylist for the same old cut every time, it’s a great time to add a new hairstyle to your look. For 2018, we are seeing more guys opt for a longer look. To make it easy to care for, consider a chin or just-above-the-shoulder cut, tapered to show off your hair’s natural movement. If you prefer the super short look, buzz cuts are always popular. The advantage is that they show off your face well and make any wardrobe look great! To change it up a bit, try faded sides or a shaved-in design. The faded look also works for the next step up – a faded-sides buzz with a longer top. Waves on top make this style even better, so if you’ve got natural curls, show them off. If you like a shorter look but a buzz is just too short for you, the classic men’s cut has never gone out of style. This year is no exception, and a good layered texture brings this style up to date. Bangs are huge in women’s styles this year, and men can get in on the trend as well. Shorter styles look great with very short, “messy” bangs and short beards. Speaking of beards, don’t forget that they are an important part of your style! 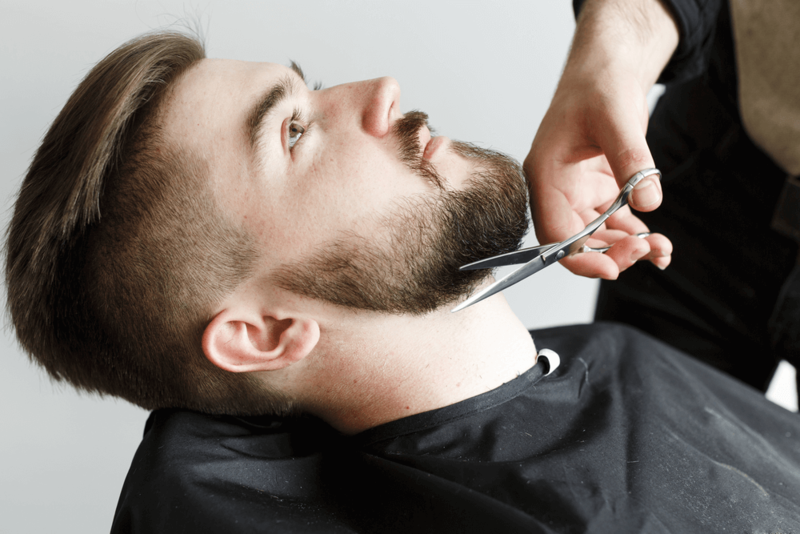 Ask your stylist about the best beard length and shape to match the hairstyle you want. Ready for a new cut? Make an appointment today at The Full Spectrum Hair Salon. Our highly-trained, professional stylists are committed to making men and women alike look and feel great! You can find us at 305 E Farm to Market Rd 544, #911 in Murphy, or give us a call at 972.509.1565. Prefer to instantly schedule your own appointment? Use our mobile app – you can download it for free from iTunes, Google Play, or Amazon.